Each year UWA collects publications data relating to the research publications of UWA staff and students. Information obtained from the collection is used in the determination of UWA's internal budget and is also reported to the Federal Government for use in allocating the research component of the Commonwealth Operating Grant (formerly called the research quantum). The collection for UWA affiliated (UWA byline) research publications takes place in the first half of the year, generally peaking in March/April. It is school-based, with an academic staff member as the primary contact and a member of the administrative staff helping to key in the data. Data entry is undertaken online using the publications collection tool Minerva. The publication contacts in each school have details. Minerva is now open for the 2014 collection of 2008-2013 publications. Both UWA affiliated (UWA byline) research publications and non-UWA affiliated research publications of current staff should be entered by schools into Minerva. Publication details are held in Minerva and can be viewed by UWA staff (using your staff number and Pheme password). 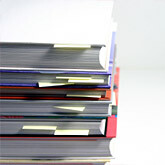 Manuals are published regularly to outline the process and the criteria for classification of publications. The 2014 UWA Publications Manual incorporates the specifications mandated by the government department for the 2014 collection. All publications entered into Minerva for the 2014 publications collection must comply with the requirements as set out in the manual. Schools will be contacted for further information about their publications if required. The Research Assessment Unit also runs information seminars for School and Academic Publications Contacts towards the beginning of the collection period. The information sessions cover the publications collection process, the key publication requirements as outlined in the UWA Publications Manual, and using Minerva for data entry. The powerpoint slides from the 2013 information session (full seminar) are available as a PDF document below. The publications data, once entered into Minerva, is checked and audited centrally by the Research Assessment Unit and by the Audit Committee. The Audit Committee is comprised of discipline-based subcommittees made up of groups of UWA researchers. A kit for auditors is available to outline the processes required in the audit. From time to time the publications data is audited by external auditors. Major national audits occurred in 2001 and 2002 and each year a small sample is audited by the WA State Auditor General's Office. Once the publications collection and audit is complete, the lists of UWA publications by school are placed online. Copies of these publications are not held centrally and all external enquiries about specific publications should be addressed to the individual concerned or to the school publication contact listed in the file below. Please send all publications queries to pubqueries-research@uwa.edu.au.